Click here to enter contest and follow the steps. The “Oshawa Generals Premium Ticket Giveaway” is sponsored by Petley-Hare (“Sponsor”) This Contest is governed by these official rules (“Official Rules”). By participating in the Contest, each entrant agrees to abide by these Official Rules, including all eligibility requirements, and understands that the results of the Contest, as determined by Petley-Hare and its agents, are final in all respects. The Contest is subject to all federal, provincial and local laws and regulations and is void where prohibited by law. This promotion is in no way sponsored, endorsed or administered by, or associated with, Facebook. Any questions, comments or complaints regarding the promotion will be directed to Petley-Hare, not Facebook. The Contest is open to legal residents of Ontario where not prohibited by law, who are eighteen (18) years of age or older at the time of entry who have Internet access and a valid e-mail account prior to the beginning of the Contest Period. Petley-Hare has the right to verify the eligibility of each entrant. The Contest begins on January 21st, 2019 and ends on January 23rd 2019, 11:59PM EST. (“Contest Period”). All entries (submissions) must be received on or before the time stated during that submission period. Petley-Hare reserves the right to extend or shorten the Contest at their sole discretion. Comment below telling us your favourite holiday memory/tradition and tag 3 friends that you’d like to bring along. After completing the required steps above, the entrant will receive one (1) entry into the drawing. The winner will be announced on Thursday January 24th, 2019 on or around noon EST. Announcement and instructions for prize will be sent to the potential prize winner’s Facebook messages inbox. The winner must claim their prize at our Oshawa office location (see below). Each entrant is responsible for monitoring his/her Facebook account for prize notification and receipt or other communications related to this sweepstakes. If a potential prize winner cannot be reached by Petley-Hare within fifteen (15) days, or if the prize is returned as undeliverable, that potential prize winner shall forfeit the prize. Upon the request of Petley-Hare, the potential winner may be required to return an Affidavit of Eligibility, Release and Prize Acceptance Form. If a potential winner fails to comply with these official rules, that potential winner will be disqualified. Prizes may not be awarded if an insufficient number of eligible entries are received. Grand Prize: Four (4) Premium Tickets to see the Oshawa Generals game against Ottawa 67’s 7:35PM Friday January 25th, 2019 @ Prospects Bar and Grill (Tribute Communities Centre). Four (4) free parking passes for the Mary Street Parkade. Terms and conditions may apply. Incidental expenses and all other costs and expenses which are not specifically listed as part of a prize in these Official Rules and which may be associated with the award, acceptance, receipt and use of all or any portion of the awarded prize are solely the responsibility of the respective prize winner. ALL FEDERAL, PROVINCIAL AND LOCAL TAXES ASSOCIATED WITH THE RECEIPT OR USE OF ANY PRIZE IS SOLELY THE RESPONSIBILITY OF THE WINNER. Prize is non-transferable. No substitution or cash equivalent of prizes is permitted. Petley-Hare and its respective parent, affiliate and subsidiary companies, agents, and representatives are not responsible for any typographical or other errors in the offer or administration of the Contest, including, but not limited to, errors in any printing or posting or these Official Rules, the selection and announcement of any winner, or the distribution of any prize. Any attempt to damage the content or operation of this Contest is unlawful and subject to possible legal action by Petley-Hare. Petley-Hare reserves the right to terminate, suspend or amend the Contest, without notice, and for any reason, including, without limitation, if Petley-Hare determines that the Contest cannot be conducted as planned or should a virus, bug, tampering or unauthorized intervention, technical failure or other cause beyond Petley-Hare’s control corrupt the administration, security, fairness, integrity or proper play of the Contest. In the event any tampering or unauthorized intervention may have occurred, Petley-Hare reserves the right to void suspect entries at issue. Petley-Hare and its respective parent, affiliate and subsidiary companies, agents, and representatives, and any telephone network or service providers, are not responsible for incorrect or inaccurate transcription of entry information, or for any human error, technical malfunction, lost or delayed data transmission, omission, interruption, deletion, line failure or malfunction of any telephone network, computer equipment or software, the inability to access any website or online service or any other error, human or otherwise. BY ENTERING THE CONTEST, EACH ENTRANT AGREES TO INDEMNIFY, RELEASE AND HOLD HARMLESS PETLEY-HARE AND ITS PARENT, AFFILIATE AND SUBSIDIARY COMPANIES, THE FACEBOOK PLATFORM, ADMINISTRATOR, ADVERTISING AND PROMOTIONAL AGENCIES, AND ALL THEIR RESPECTIVE OFFICERS, DIRECTORS, EMPLOYEES, REPRESENTATIVES AND AGENTS FROM ANY LIABILITY, DAMAGES, LOSSES OR INJURY RESULTING IN WHOLE OR IN PART, DIRECTLY OR INDIRECTLY, FROM THAT ENTRANT’S PARTICIPATION IN THE CONTEST AND THE ACCEPTANCE, USE OR MISUSE OF ANY PRIZE THAT MAY BE WON. PETLEY-HARE AND ITS PARENT, AFFILIATE AND SUBSIDIARY COMPANIES DO NOT MAKE ANY WARRANTIES, EXPRESS OR IMPLIED, AS TO THE CONDITION, FITNESS OR MERCHANTABILITY OF THE PRIZE. 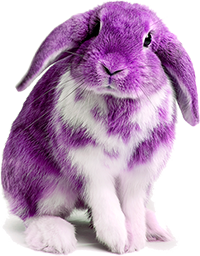 PETLEY-HARE AND ITS PARENTS, SUBSIDIARIES, AFFILIATES, ADVERTISING AND PROMOTIONAL AGENCIES, AND ALL THEIR RESPECTIVE OFFICERS, DIRECTORS, EMPLOYEES, REPRESENTATIVES AND AGENTS DISCLAIM ANY LIABILITY FOR DAMAGE TO ANY COMPUTER SYSTEM RESULTING FROM ACCESS TO OR THE DOWNLOAD OF INFORMATION OR MATERIALS CONNECTED WITH THE CONTEST. By participating, each entrant grants Petley-Hare permission to use his/her name, likeness or comments for publicity purposes without payment of additional consideration, except where prohibited by law.